While it is unseasonably chilly here today (like, wear long sleeves and a sweater type cool) warmer days are ahead. To ring in the warmth (that should get here, eventually?) Mark has brought us a vacay inspired collection. 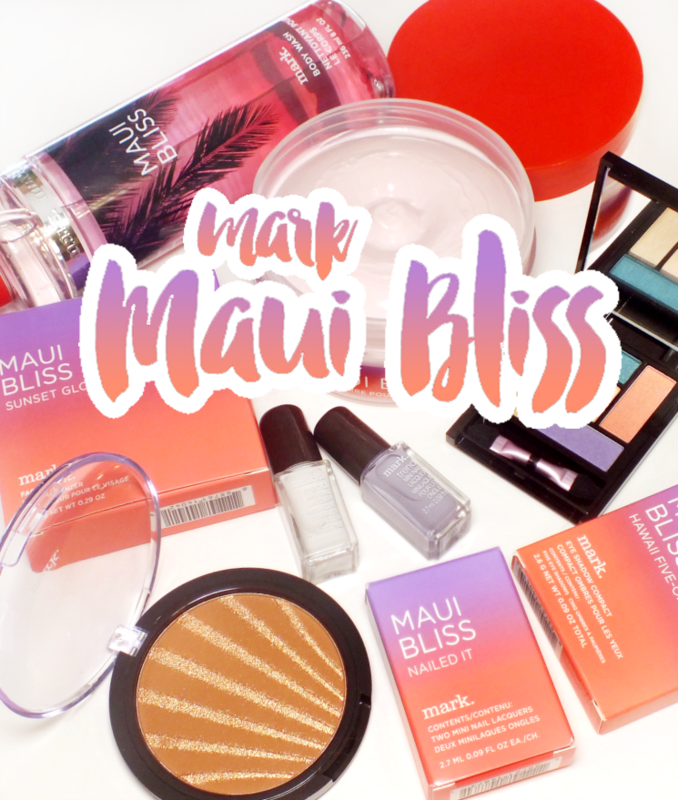 The Maui Bliss Collection features a pretty great summer scent and some cute makeup too. Want a closer look? Read on! 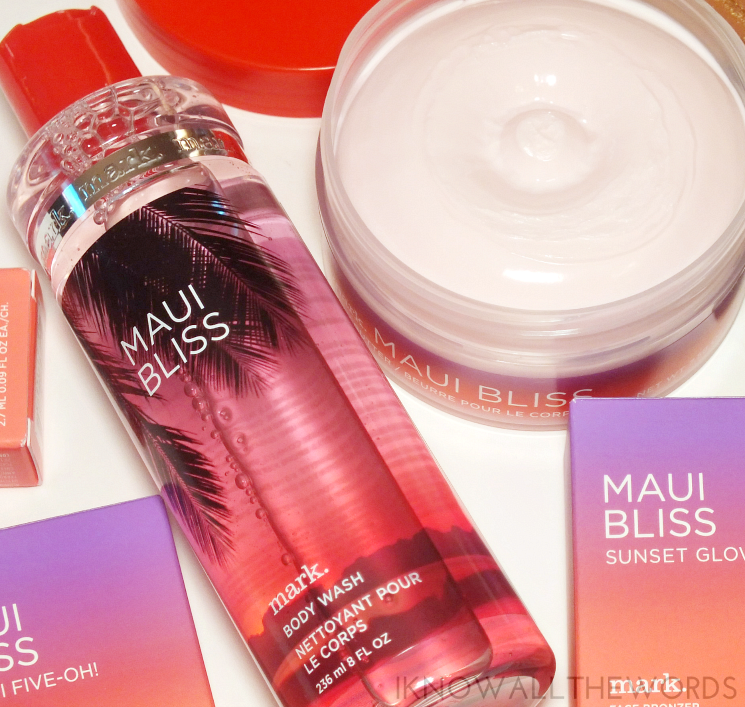 The Maui Bliss Collection borrows it's name from the Maui Bliss scent that is featured in the bath and body portion of the collection. The collection features a body wash, body mist, shimmering moisture gel, and body butter that all have a Hawaiian paradise-inspired scent. The scent is a blend of coconut water, hibiscus and amber and it's incredible! The coconut water is a little sweet with a bit of fresh florals from the hibiscus that's all warmed by the amber. I'm really into it. Plus, the body butter has a new formulation since I've last tried it. It's now a richer, thicker moisturizer with a true body butter feel. It's really hydrating but isn't heavy feeling on skin. 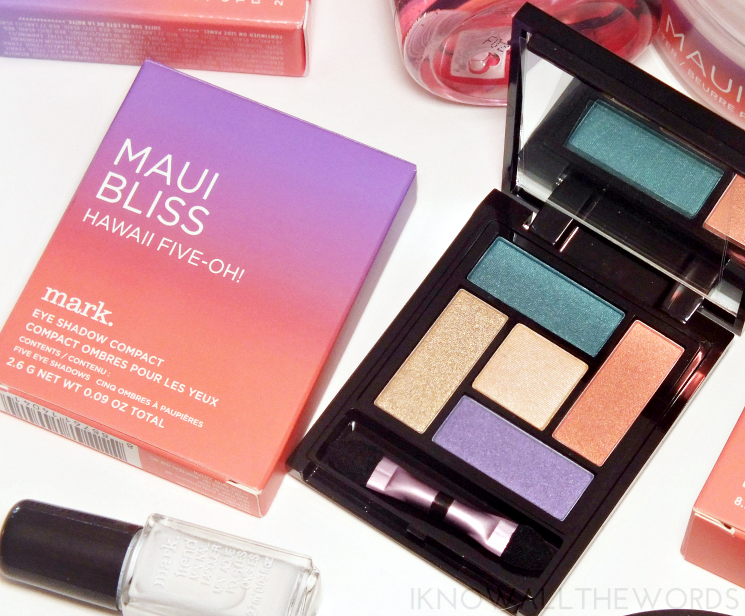 Eyes get a bit of Hawaii-themed love with the Maui Bliss Hawaii Five-Oh! Eyeshadow Compact. The palette features five shadows of varying finishes including a deep teal (matte), peachy coral with golden glow (satin), light cream (matte), golden-beige (shimmer), and a lilac with a slight metallic shift (satin). 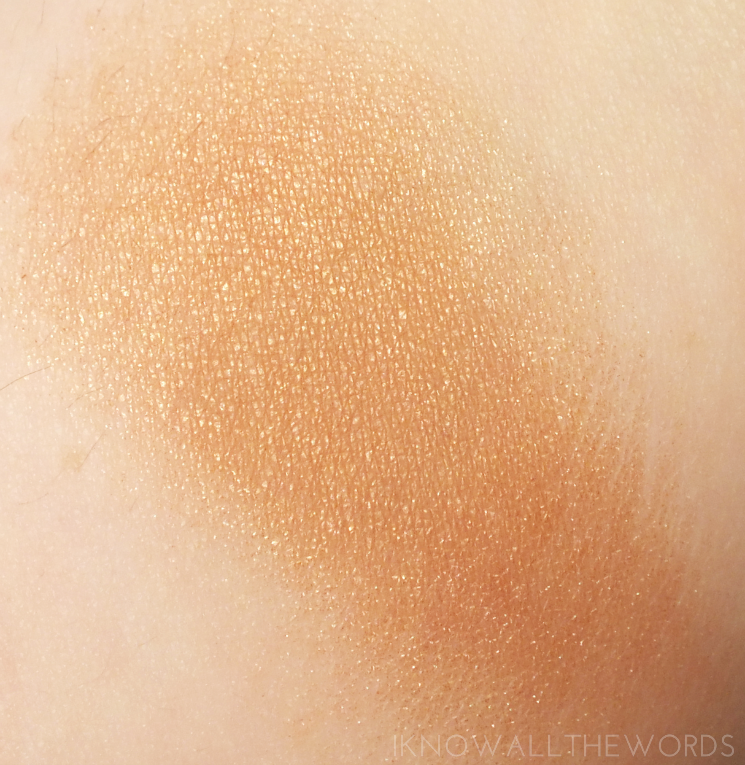 The pigmentation varies, but overall, these shadows perform quit4e well. 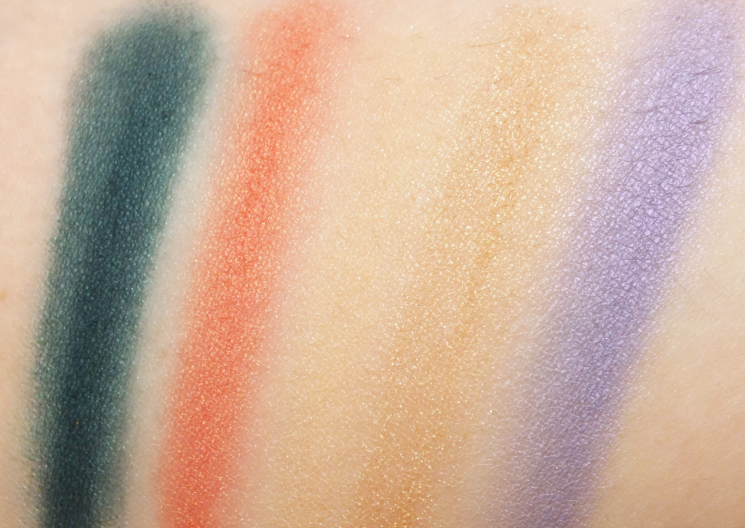 The teal and lilac shades are both impressive both in quality (so pigmented!) and colour. 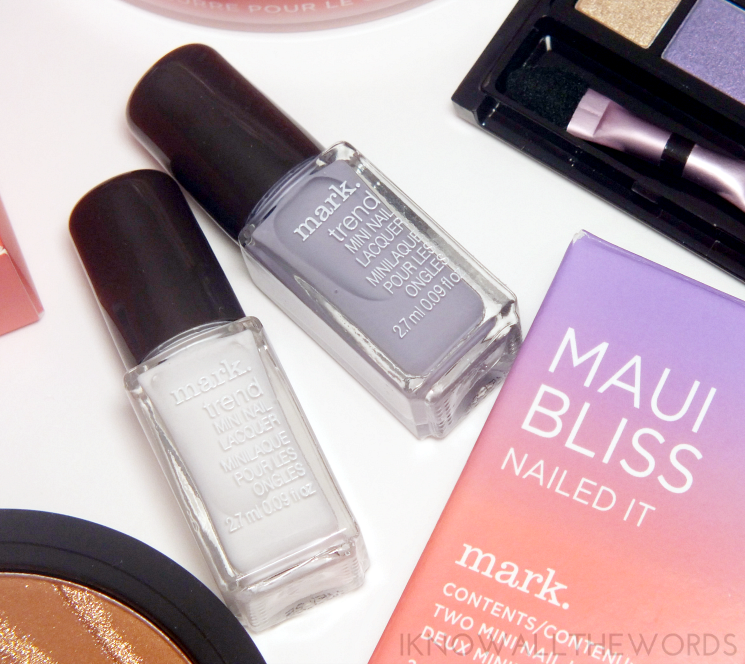 Mark mini polishes are back with the Maui Bliss Nailed It Mini Lacquers in Cloud 9 (crisp white) and Hula (dusty lavender.) Both shades applied fairly well in two coats (Cloud 9 was a touch too thick) and have enough polish for ten manicures in each bottle. Beach hair is a summer staple, and is even better when you can achieve it without heat. The That's Beachy Texturizing Surf Spray is a handy product for creating texture and waves in hair without any sticky, weird feel. I love that this adds some texture to hair and that it brings out my natural waves for effortless messy hair. If I want a bit more beachy-wave, I go over my ends with a pearl shaped curling wand to amp it up and make it longer lasting. The spray adds some added hold and means I can skip a few days without re-styling. Overall, this is a fun collection! 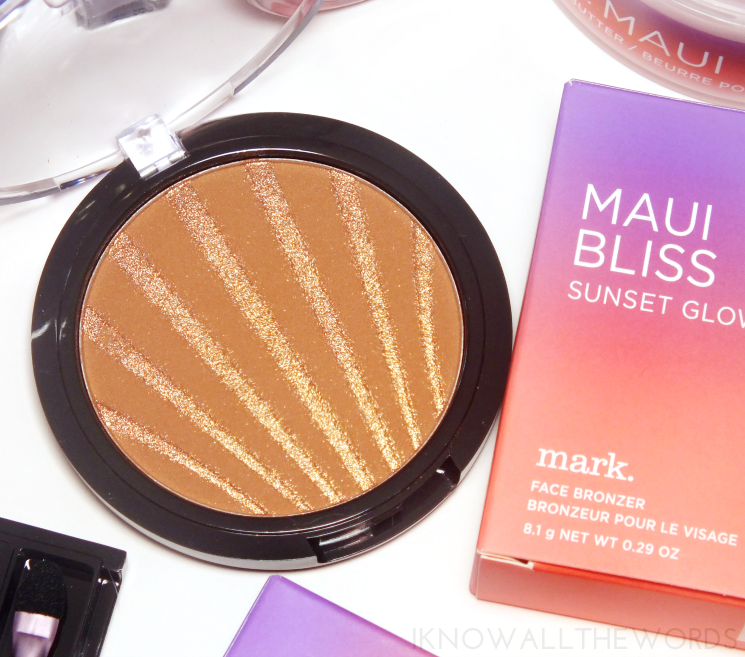 The shades are summery and you can't help but love the purple and coral ombre packaging. 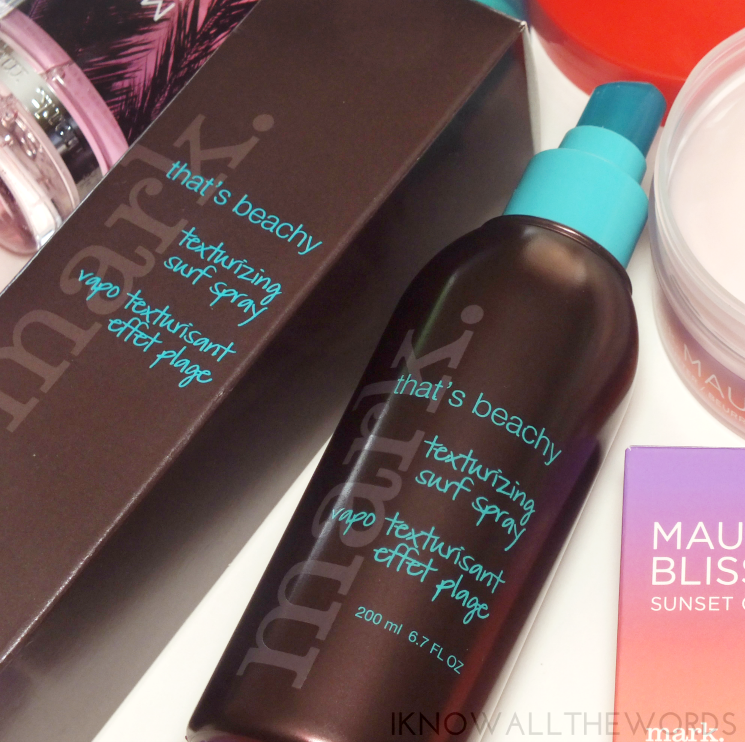 I am really into the Maui Bliss scent. I'd say it's one of my favourites the brand has ever done (and I'm pretty sure I've tried them all.) What do you think? Need any of these products to see you through the summer?